In order to make applying background images even easier, we've built a direct integration between Custom Theme Power-Up and Unsplash. You can browse a ton of beautiful images right from your board. The only question left is which image best matches your workflow? 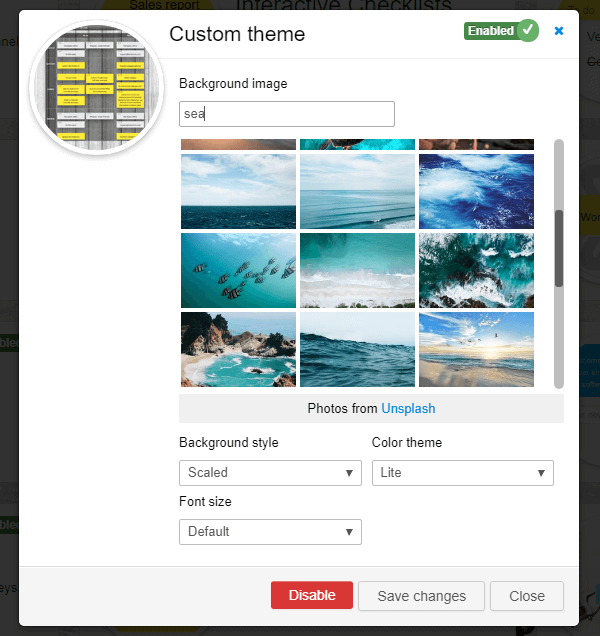 To apply a background image to your board, please open Settings - Power-Ups - Custom Theme.